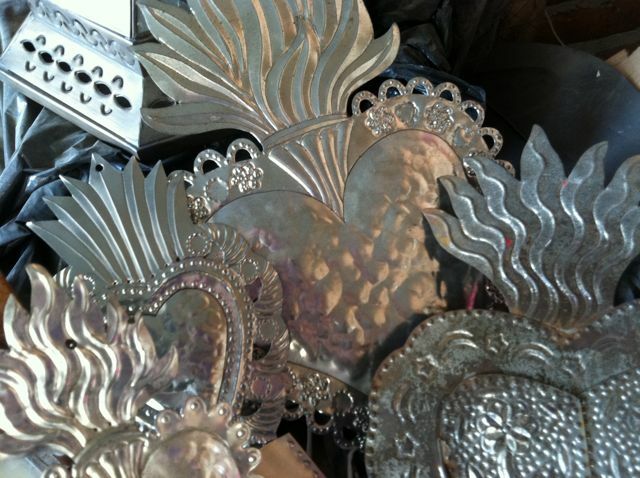 Master artisan José Luz has been creating art out of tin for over fifty years. In the four minute video below I follow José Luz while he works on a new piece. The resulting piece emerges from many hours of design time, a day and a half in his studio cutting, stamping, pushing and re-working the tin. The result is a piece of texture and softness, a piece of beauty inspired by his love of art, metal and working with his hands, inspired by his deep religious faith. He calls this piece corazon amoroso de Jesus sacramento. 2011 Corazon Amoroso de Jesus Sacramento from Suzanne da Rosa on Vimeo. Absolutely beautiful! It is amazing to see the amount of work (and love) that goes into creating this piece of art.